Abdulla Al Khars of Fairport (14450) is in the computing and information technologies (BS) program. Elijah Cooper of Newfane (14108), son of Kathleen Cooper and Michael Cooper, is in the computer science (BS) program. Elijah is a 2018 graduate of Newfane High School. He received an RIT Founders Scholarship. Ryan Kavanagh of Fairport (14450), son of Firoza Kavanagh and David Kavanagh, is in the physics (BS) program. Ryan is a 2018 graduate of Fairport High School. He received an NYS Academic Excellence award. Lauren Paige of Rochester (14624), daughter of Colleen Bush and William Paige, is in the game design and development (BS) program. Lauren is a 2018 graduate of Gates Chili High School. She received an RIT Computing Medal Scholarship. Eloy Ramirez of Rochester (14621), son of Eloy Ramirez and Elvira Benoit, is in the computer engineering technology (BS) program. Eloy is a 2018 graduate of Northeast College Prep. Damion Sheirod of Rochester (14619) is in the accounting (MBA) program. Damion is a 2016 graduate of James Monroe High School. 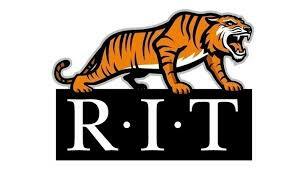 He received an RIT Trustee Scholarship. Meredith Zachary of Hilton (14468), daughter of Catherine Zachary and Wilson Zachary, is in the film and animation (BFA) program. Meredith is a 2018 graduate of Hilton High School. She received an RIT Founders Scholarship. Tyler Corbitt of Rochester (14611), son of Stephanie Corbitt and James Corbitt, is in the chemistry (BS) program. Tyler is a 2018 graduate of Pittsford Mendon. Jack Valtin of Orchard Park (14127), son of Tricia Valtin and Dan Valtin, is in the film and animation (BFA) program. Jack is a 2018 graduate of Orchard Park High School. Madison Yandow of Fairport (14450), daughter of Renee Yandow and Phil Yandow, is in the university exploration (undeclared) program. Madison is a 2018 graduate of Fairport High School.